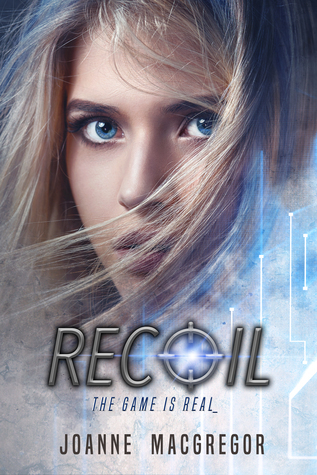 Recoil is the most recent work by Joanne Macgregor. It takes place in modern day United States, three years after a terrorist attack used biological chemicals to unleash a plague. The story is very realistic dystopian fiction. It’s full of elements that terrorist attacks cause- hyper-awareness of foreign residents, larger defense industry, mass media reporting on threats, politician comments about terrorists. Jinxy starts out naive, playing a game that eventually leads to recruitment with the military. She takes the words of the media, politicians, and her unit commander Sarge for face value- believes they have the people’s best interests at heart. At 16, it makes sense that she would trust those older than her. It isn’t until Jinxy meets Quinn that she starts to question her missions, especially when he finds out she is a sniper. Jinxy understands why she needs to shoot the infected rats, but when she is required to shoot other animals, and eventually is given more classified missions, she has a difficult time, trying to reconcile herself and her values with the values of her unit and the military. Macgregor does an excellent job of showing Jinxy’s progression from being naive to doubting herself and her missions to taking matters into her own hands, making her own educated decisions. Quinn is a fascinating character. He is also super hot with an Irish accent (swoon). He does what is required of him, but also has his own secrets that are kept from Jinxy. He helps Jinxy open her eyes and understand that her missions are not what she is being told. There is a strong attraction between them, but her missions separate them- pit on against the other. I will say I had a difficult time with the start of their relationship. It just sort of happens and I couldn’t figure out what drew them to each other. But by the end Macgregor had me rooting for their relationship. And the way the book ends, I just need to know what happens next. There is a quote in the book- “We’ve repatriated hundreds of thousands, perhaps even millions, of foreign residents, refugees, and workers. We’ve insulated ourselves, sealed our boarders against immigrants and imports and competition… And as a nation we’ve channeled billions into a defense industry that was sitting idle after the last wars fizzled out.” It is scary how closely it describes our current country. We have a presidential candidate who wants to build a wall on the US/Mexican boarder to keep illegal immigrants out; we have alienated anyone who looks middle eastern and have grouped all those who practice Islam into the terrorist stereo type. This novel is so realistic I can see something like this possibly happening. 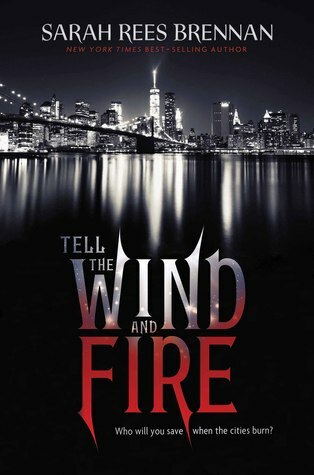 If you enjoy dystopian settings, this is a great start to a fascinating realistic series. Gotta be honest… I didn’t finish reading this book. I managed to get through 50 percent before calling it quits. I just wasn’t able to get into the plot and I didn’t connect with the characters. Lucie is a girl who did whatever it took to help free her father at the beginning of the book. And throughout the rest, she just stuck quietly by her boyfriend’s side, afraid he might find out about who she was… and who she wasn’t. For a character who could’ve been so strong and resilient, she felt quite 2 dimensional. The world itself was colorless. I didn’t understand the true different been Light New York and Dark New York. Where were they in respect to each other? Side by side? Dark underneath? And it didn’t make sense that one day someone discovered light magic and that was it, the world changed. The world building needed to be more substantial and thought out. I had a difficult time with the doppelganger idea. 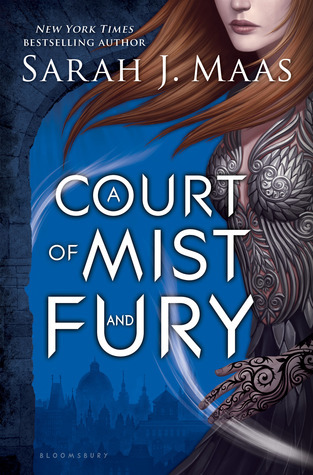 What is the plot point of bringing in a doppelganger at the start, having Lucie treat him as an equal, helping him, and then not seeing him again for half the book. I thought, maybe Lucie was meant to be with him. By meeting him, interacting with him, showing him her true self, she would finally allow herself to tell Ethan the truth about her past. The doppelganger would give her a chance to return to Dark City and she would help with the revolution. It is made quite clear Lucie doesn’t agree with the counsel- those in charge of the laws in Light City. From what I scanned of the last 50%, this doesn’t happen. The counsel itself was a confusing group. Did they make the laws for the nation? Or just for Light New York and Dark New York? How was the rest of the nation handling the magic? What were the far reaching implications of the doppelgangers and light/dark magic. Lots of plot structuring didn’t make sense. And now looking at the description, it doesn’t make sense either. I think if there was more editing/re-reading the plot holes could’ve been filled and some of the run-on thoughts of the characters could’ve been deleted. Thank you to NetGalley and Houghton Mifflin Harcourt Children’s Book Group, Clarion Books for giving me the chance to read this ARC. Receiving this ARC for free does not sway my review. Scarred is about Sloane Munster, who suffers from a tragic accident in her life, leaving her physically and mentally scarred. Due to the trauma, she spends almost a year in hiding, finishing her junior year with private tutors. But through the help of her therapist, Sloane attends a new school for senior year, where she runs into old faces, new faces, and has to come to terms with the actions of her mother as well as herself and how she will move forward with her life. Joanne Macgregor’s writing is a graceful look at the physical and emotional aftermath of a tragedy in a person’s life. It is evocative. It doesn’t push aside the effects mental illness has on a person. Or how, through the support of friends, family, and love, a person can move forward in their life- move past the tragedy and see there is a bright future ahead of them. When I first started this book, I wasn’t sure if I was going to like it. Sloane Munster felt very one dimensional- she was focusing on how she looked and how her life used to be. She was beautiful. She was popular. “I didn’t used to get called anything nasty about my appearance, I used to be pretty. The GG’s- short for Gorgeous Girls- that’s what our clique was called, in my old school.” However, after moving further into the book, Sloane becomes more than a one dimensional character. The scar is just a representation of her emotions. By the end, I fell in love and didn’t want it to end. Sloane is a truly tragic, and complex, character who has to adjust to her life A.S.- after scar. The girls at her new school taunt her looks, which shows just how juvenile and immature teenage girls can be. It also is a reflection of our society and how much pressure we put on young girls when it comes to physical appearances. She has to deal with boys staring at her. She has to acquiesce the lose of her family and guilt of ruining another family. I truly enjoyed when Luke, Sloane’s love interest, was given a chapter. He is a central character, not only to Sloane’s development through out the book, but to the story itself. Seeing his point of view is vital to understanding his involvement in the accident and how he develops as a character. As a side sub-plot, the book also address the treatment of others in general, whether it is a student-student relationship, a student-teacher relationship, or a child-parent relationship, and how that can impact a person’s life, positively or negatively. Joanne Macgregor is a counseling psychologist who specializes in victims of crime and trauma. It is very apparent that she knows what she is writing about; it is captivating and emotional and clearly understood from a psychologist’s point of view. I would recommend this book to anyone looking for a gripping story of tragedy, loss, and survival. I think an anthem to this book is Scars to You Beautiful by Alessia Cara. Go listen to it during/after reading this book. 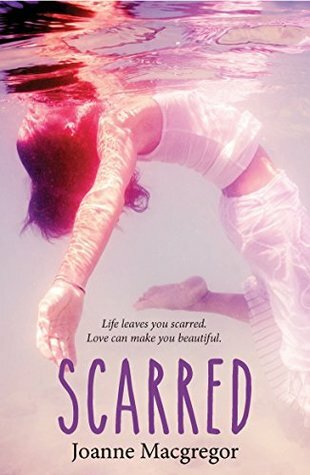 I’d like to thank Joanne Macgregor for the opportunity to read Scarred in return for an honest review. Receiving this book for free doesn’t influence my opinion.